Our goal is to make a significant, positive impact on the life of each person that interacts with Black Sheep Farm. Black Sheep Farm, Ltd offers various horse assisted education programs to several groups of people. Our programs do NOT involve riding horses. The horse assisted programs involve various forms of ground interaction and "at liberty" experiences with horses. Black Sheep Farm focuses most of its program efforts on children ages 3 to 6 that are struggling with speech delay, mild forms of autism, and, other circumstances that are impacting their ability to age appropriately socialize, and, interact in a social setting. Falling behind in social skills often means falling behind in learning criteria development. The horses are very good teachers, and, empower these young children in a unique manner that provides a lot of motivation to the participant. We give riding lessons for beginner to intermediate riders using a holistic approach to riding, which develops a relationship with the horse as a priority to riding skills. We require a one year commitment for riders to appropriately progress through the lessons. Lesson prices start at $25 per hour for children or adults. Group lessons are $25 per person. 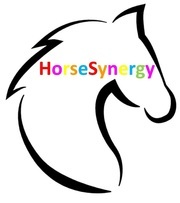 Horse Synergy is our horse assisted education corporate training program. Our program uses a respect, trust & peace corporate model that promotes self awareness, corporate collaboration and a peaceful corporate environment. We do leadership and team enrichment programs for small groups and customize a program for corporate family outings. Other customized programs available upon request. Please inquire for pricing. blacksheepfarmsc@yahoo.com. We are very proud to serve the Upstate senior citizen community with visits to the farm, and, occasional, senior center visits. If your senior center hasn't visited the farm, please contact us soon to schedule a visit. Black Sheep Farm, also, offers field trip programs for preschools, and, other children's groups. Programs available for depressed children, some ADHD individuals, struggling young people, foster children and cancer survivors, upon request. These programs are extremely beneficial. Please inquire for program prices. We are not therapists. ​HeartMath is an intelligent energy management program. Enhance performance, resilience, and coherence to enrich your life!! Individual sessions: $495 per person for 6 (45 minute to one hour) sessions, depending on individual need. Group sessions available for up to 10 people, inquire for pricing. Free 30 minute, introductory, individual session. Limited number: special rate for veterans. Contact Deborah Dunlap to schedule your HeartMath Coaching opportunity at blacksheepfarmsc@yahoo.com or the "contact us" page on this website. Contact us today! !...why wait for a better you? ​Please note: this is not a relaxation technique. Learn to live your life to the fullest with these, deceptively simple, life style techniques. Coherence and resilience are important strategies for your success. Make the positive shift!! We can easily forgive a child who is afraid of the dark; the real tragedy of life is when women and men are afraid of the light. Black Sheep Farm, Ltd. was established at our family farm in Mequon, Wisconsin . We started programs in Wisconsin after achieving 501(c)3 status in 2009. On December 23, 2014, Black Sheep Farm, Ltd. received a certificate of authority from the state of South Carolina to conduct business in the state.